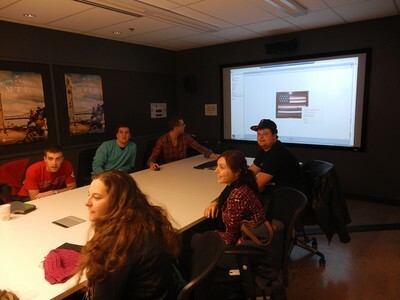 Xavier students visit Ubisoft Studios, Montreal, to learn about the making of the historically-themed video game Assassin's Creed. Public History is the research and presentation of history specifically for popular consumption. Public historians are found in museums, historical sites, archives, non-profits, and digital ventures. A concentration in Public History within the History major or a minor in Public History for students who are not History majors will enhance the skills that make History majors and minors successful in their careers and/or advanced degrees. These include the ability to find, organize, and analyze information and to communicate orally, in writing, and using digital technology. 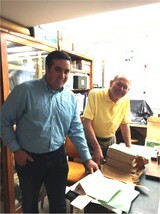 Public History student Ryan DiPaolo assists John Ventre, Historian of the Cincinnati Observatory, in the Observatory archives.